– are designed to be tight-fitting for quiet movement and suit standard wheelie bins. Our axles are used in the Garbage collection industry. They are easily fitting to roll away carts, dust bins, wheelie or Garbage bins. 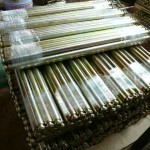 They can be produced in either solid or hollow bar with an OD of 21.25mm,19.05 or as specified by our customers. 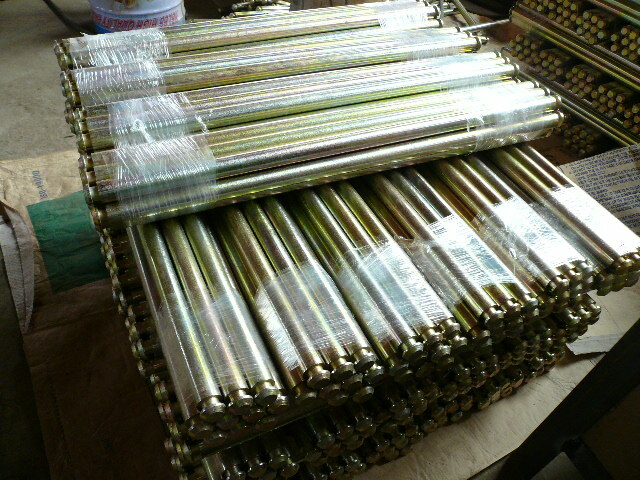 They are gold zinc coated to 12 microns and are packed according to your requirements. We offer axles in several sizes, including 433mm, 455mm, 460mm, 495mm, 498mm, 544, and 554mm or as specified by your requirements. We can also supply to your requirements, please do not hesitate to contact us for a quote or to obtain further information.